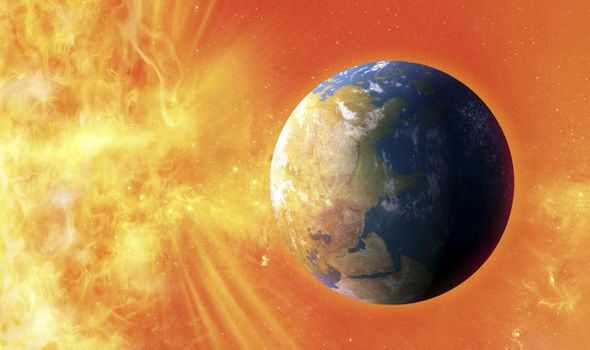 NASA has planned to send a probe to the sun in order to protect Earth from a potentially disastrous solar event. The Solar Plus Probe – is to be launched next year towards the sun which will hit speeds approaching half a million miles-per-hour, as NASA is confident to solve “the threats of space weather”. This plan may be related to the concept of Danny Boyle sci-fi thriller Sunshine in which a manned probe is sent to the sun to save the earth. The agency is quite confident to get some good research work about the sun’s corona, the massive hole at the center. Scientists believe that the hole is much cooler than the outer regions of the sun, but they do not know why. However, they know that the corona produces considerable massive solar winds and blazes which bombard the Earth with radiation. The problem that we are facing by this radiation, is that it can affect us in several ways. This may cause in the lack of internet service, GPS navigation, satellite TV such as Sky and mobile phone signal because satellite signals would struggle to penetrate the swollen atmosphere. Another, problem that we may face is blow out electrical transformers and power stations leading to a temporary loss of electricity in a region because of the increased currents in the Earth’s magnetic field – or magnetosphere. The first is to trace the flow of energy that powers the corona. Another of its aims is to study the means in which energetic particles are accelerated and transported. Finally, the Solar Probe Plus will observe the assembly and dynamics of the magnetic fields of the sun. The study will ultimately help us to be ready for any unknown events that can harm Earth, caused by Sun.